When the Greater Raleigh Convention and Visitors Bureau (CVB) has paid job openings, links containing more information about the opportunities and the application process are posted below. Want to know more about the Bureau? Check out these Top 10 Fascinating Facts! 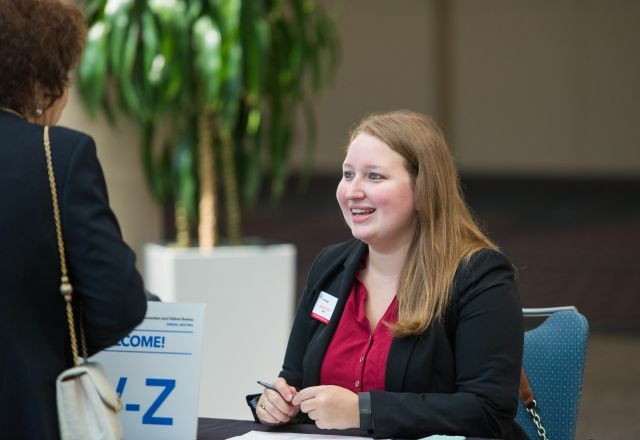 The Greater Raleigh CVB&apos;s Tourism Ambassador program was created to open doors for visitors by staffing hospitality booths and answering questions at conventions, trade shows, festivals, sporting events and any other events attended by out-of-towners. Tourism Ambassadors also volunteer to staff the Raleigh, N.C., Visitor Information Center, located inside the Raleigh Convention Center connector space at 500 Fayetteville St., downtown Raleigh (not a mailing address but a site address). Who can be a volunteer Tourism Ambassador? Anyone who loves Raleigh, N.C., has resided in Wake County for at least a year, likes to help people and enjoys being on site during events or working in a busy location. We train you and provide all materials. Sign up using this information form, and we&apos;ll follow up soon to get you started! To see some recent ambassadors in action, watch this video. The Greater Raleigh CVB&apos;s Tourism Ambassador program schedules all staffing needs using ShiftPlanning/Humanity online scheduling. Employee Scheduling Software donated by ShiftPlanning/Humanity.